This Demonstration shows a special case of the damped and driven double pendulum. The pivot of the pendulum is driven up and down by a slider-crank mechanism. This transmits a vertical acceleration to the bob, in addition to the acceleration due to gravity. This results in the equation of motion , where is the vertical position of the pivot along the slider. 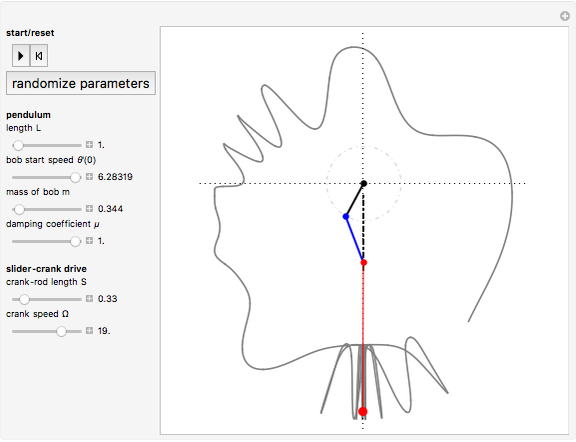 The animation traces the movement of the pendulum bob. The slider-crank mechanism consists of a crank arm of length , rotating counterclockwise at constant angular speed , driving a crank-rod of length in a vertical slider. The pendulum has length and bob mass . The damping coefficient of the system is . To limit the number of parameters, we take and the starting position of the bob at . 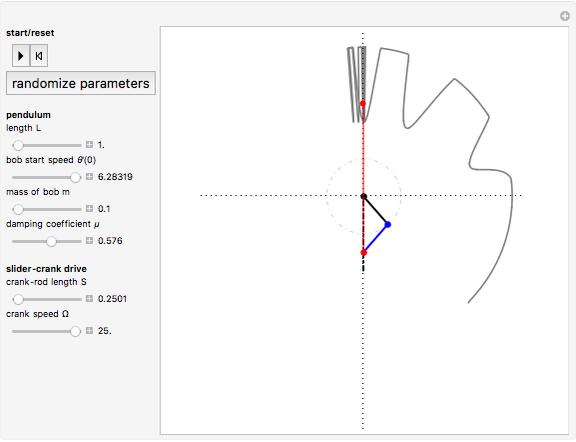 Choose a set of parameters with the sliders or the "randomize parameters" button and start the animation. 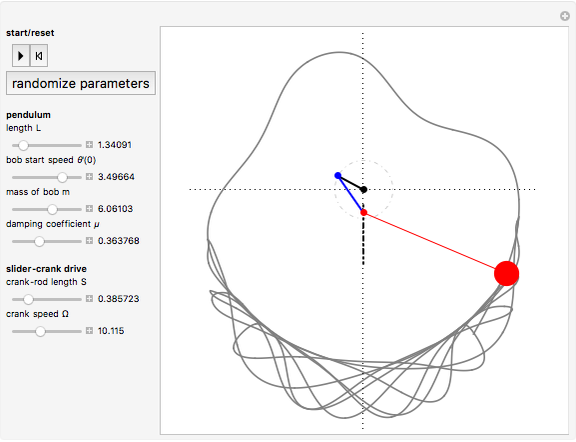 Or run the animation to the end and press the "randomize parameters" button to create a variety of bob trajectories.